1) The subtle but fatal flaw in the received opinion regarding the alleged immutability of the planetary distances is the following inadequately recognized fact: whether or not the Solar System is stable in any of the senses defined by Laplace, Lagrange, Poisson, or Littlewood, or is quasi-periodic, it need not be "orbitally stable." 2) As demonstrated in the text in considerable detail, it is perfectly possible, according to Newton's Laws of Dynamics and Gravitation when three or more bodies are involved, for planets to nearly collide and then relax into an apparently stable Bode's Law type of configuration within a relatively short time; therefore Velikovsky's historical evidence cannot be ignored. 4) There is no plausible explanation for the anomalous (retrograde) rotation of Venus, other than that it originally had prograde spin and was later flipped upside down by a near collision with some other planet. 5) The fact that the spin rate of Venus is now mysteriously locked in resonance with the rate of revolution of Venus relative to the Earth (so that Venus presents the same face to Earth at every inferior conjunction) may provide a dynamical clue as to which planet Venus encountered. 6) Laplace's theorem allegedly proving stability of the solar system (1773) was shown to be fallacious in 1899 by Poincaré; in 1953 dynamical astronomer W. M. Smart proved that the maximum interval of reliability of the perturbation equations of Laplace and Lagrange was not 1011 years, as stated in 1895 by S. Newcomb, but actually at most a small multiple of 102 years. 7) The eminent dynamical astronomer E. W. Brown, in his retiring speech as President of the American Astronomical Society in 1931, quite explicitly stated that there is no quantitative reason known to celestial mechanics why Mars, Earth and Venus could not have nearly collided in the past. "The most outrageous feature of Velikovsky's theories, in the eyes of the scientific establishment, is his contention that Venus has occupied its present orbit only during the past few thousand years. Astronomers and cosmogonists are convinced there have been no drastic changes in the arrangement of the solar system for the past 41/2 billion years." With these words Irving Michelson, Professor of Mechanics at Illinois Institute of Technology, introduced his recent address (1) to some four hundred participants in an international symposium at McMaster University devoted to a critical re-examination of Velikovsky's ideas and sparked by forty invited speakers, moderators and panelists of impeccable academic and "establishment" credentials. The establishment's outrage is based on the fantastically successful record of Newtonian celestial mechanics during the past three centuries. Noting that no other science is based on so many observations extending over so long a time, that in no other science is it possible to test so critically its conclusions, and in no other science are theory and experience in so perfect accord, many thinkers will agree that "celestial mechanics is entitled to be regarded as the most perfect science" (2). One of the least restrained outbursts reflecting this attitude came from the late eminent astronomer, Harlow Shapley, who thundered, "The laws of mechanics ... have been tested competently and thoroughly.... if Dr. Velikovsky is right, the rest of us are crazy" (3). 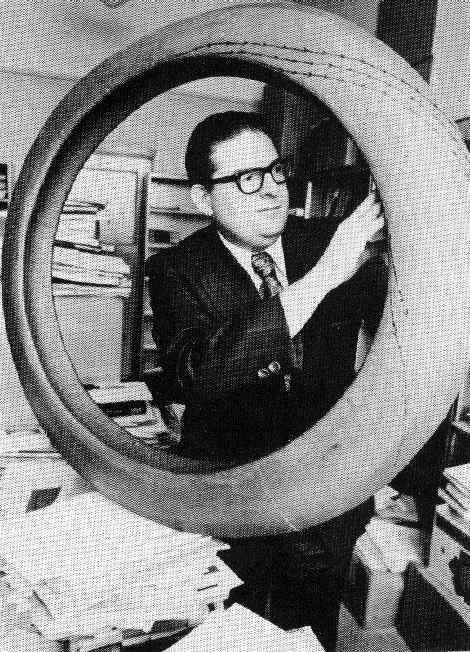 Dr. Bass, a Rhodes Scholar, took his doctorate in 1955 under the late Aurel Wintner—then the world's leading authority on celestial mechanics. He undertook three years of post-doctoral research in nonlinear mechanics at Princeton under National Medal of Science winner, Solomon Lefschetz. In the late Fifties he developed a new principle in celestial mechanics which not only gives a dynamical explanation for Bode's law but, as shown in 1972 by M. Ovenden, predicts current planetary distances with an average inaccuracy less than one percent. Currently Bass is Professor of Physics and Astronomy, Brigham Young University. A substantial portion of what follows will be beyond the reach of non-specialists. We have separated out certain sections of the paper in smaller type, thus enabling the general reader to pass them over and still profit from the remaining portions of the paper. Prof. Bass has prepared two, largely mathematical backup papers which are available from Pensée on request. An almost equally dogmatic, if more courteous and carefully qualified pronouncement of this type came at the recent AAAS symposium on Velikovsky from J. Derral Mulholland, professor of astronomy at the University of Texas (Austin). An internationally respected dynamical astronomer, Mulholland called this issue Velikovsky's "fatal flaw" and concluded that "Our knowledge of the factors, gravitational and otherwise, that influence bodies in motion absolutely denies that either Venus or Mars can have had Earth-crossing orbits within astronomically recent time" (4). Here I shall first attempt to outline what I regard as the strongest possible case for Mulholland's selection of the term "absolute" in his conclusion, and then lay out the hard counter-evidence ignored at the AAAS. The reader may judge for himself whether or not reputable galactic dynamicist Ivan King, AAAS symposium moderator, may have been guilty of shooting from the hip when he declared three months prior to the symposium, "None of us in the scientific community believes that a debate about Velikovsky's views of the Solar System would be remotely justified at a serious scientific meeting" (5). First, I shall endeavor to present the case for the "received opinion" as objectively and as powerfully as I can (see following article, also). Second, I shall attempt to expose subtle but fatal flaws in the received opinion, as concisely as possible. The reader may here imagine himself in the position of a lawyer with rusty scientific savvy, sitting as a Judge in the case of Velikovsky vs. the Establishment, the charge being libel and slander; the Judge is to be experienced in the weighing of conflicting testimonies, well-versed in assessing the relevance of expert witness, and willing to entertain overt expressions of opinion from demonstrably qualified specialists regarding arcane matters which the Judge himself currently has no time to master in depth. In the third phase of this inquiry there will be no appeal to Authority; but there will be, unavoidably, some intellectual mountain-climbing. Here, following the authentic ethos of science, I shall endeavor to clarify the matter to the point where the interested reader can decide intelligently for himself just what is the actual present status of this debate. Bode's Law: Key or Canard? At first glance, Bode's Law of Planetary Distances presents a formidable challenge to Velikovsky's concept of Venus as a planetary newcomer. Most readers hardly need reminding that, roughly speaking, and disregarding a constant displacement, each planet, from Mercury to Neptune, is about twice as far from the sun as its predecessor. (See George Harper's provocative article in the November, 1973 issue of Analog.) It is also widely known that von Weizsacker's vortex hypothesis of planetary formation boasts, for one of its advantages as a cosmogony, an apparent qualitative explanation of Bode's Law. (See G. Harper's latest article in the August, 1974 issue of Vertex.) For deeper study of Bode's Law, Dr. Michael M. Nieto's entertaining and informative recent book (6), which analyzes some 300 scientific publications on the subject, is indispensable. In particular, the startlingly accurate Blagg-Richardson refinement of the Law, which allows for a regular "ripple" to be superimposed upon the above-mentioned geometric progression based on the factor two, shows that the true value of this "Bode factor" is not 2 but 1.7275. However, this value is purely empirical and there has hitherto been no accepted way to compute a prediction of its value from, say, the planetary masses. I have recently derived a mathematical formula (7) which predicts the Bode factor as a unique consequence of a) the masses of the planets, b) the Newtonian gravitational constant, c) the system's total energy, and d) the system's total angular momentum, in the case where the masses of the planets are all small relative to the mass of the sun (technically called "the restricted (N-1)-body problem"). Surprisingly, for a relation that has tantalized astronomers for nearly four centuries (6), (8) the answer is basically simple. A search for the most stable (or, at worst, least unstable) periodic or almost-periodic planetary motions leads to the concept (9), (10) of maximizing the mean potential energy of gravitational interaction, or equivalently, of minimizing the unsigned numerical value (called the “absolute value") of the mean potential. Since the absolute potential energy between two gravitationally interacting bodies is, according to Newton, inversely proportional to the distance between them, we minimize it by maximizing the distance between the bodies. For a system of N bodies (N = 3, 4, 5 .... ), this involves maximizing the mean distances between all of the bodies, subject only to the constraints of holding fixed the initially given values of total energy and total angular momentum. A crude first approximation to the minimization required by the Principle yields the Bode type of geometric progression as a rough solution. Upon combining this idea with the known dynamical laws of 1) conservation of energy, 2) conservation of angular momentum, 3) Kepler's Third Law, and 4) the so-called Virial Theorem (the mean absolute value of potential energy of an oscillatory system must equal exactly twice the mean value of its kinetic energy), one arrives straightforwardly at a polynomial equation, of degree 2N-4, whose smallest positive root is the square-root of the above-defined Bode factor. In these two articles I have not sought, as yet, to demonstrate that Velikovsky's central hypothesis is true, so much as to prove that it is not forbidden by Newtonian dynamics. In a resonant, orbitals unstable or "wild" motion, the eccentricities of one or more of the terrestrial planets can increase in a century or two until a near collision occurs. Subsequently the Principle of Least Interaction Action predicts that the planets will rapidly "relax" into a configuration very near to a (presumably orbitals stable) resonant, Bode's-Law type of configuration. Near such a configuration, small, non-gravitational effects such as tidal friction can in a few centuries accumulate effectively to a discontinuous "jump" from the actual phase-space path to a nearby, truly orbitals stable, path. Subsequently, observations and theory would agree that the solar system is in a quasi-periodic motion stable in the sense of Laplace and orbitals stable. Also, numerical integrations backward in time would show that no near collision had ever occurred. Yet in actual fact this deduction would be false. The discerning reader by now can perceive, perhaps, how a deep understanding of Bode's law will provide the key to the ultimate resolution of the present debate. However, we must defer this intricate matter to the final stage of our inquiry. The manner in which Bode's law is normally introduced into the Velikovsky controversy is much less subtle and much easier to clarify, which I shall do by recounting a recent conversation between Professor Lloyd Motz and myself. Dr. Motz, Columbia University's authority on stellar structures and author of a standard astronomy text (21), exemplifies to me the ideal of the open-minded, true scholar-and-gentleman. Although he definitely disagrees with Velikovsky's hypothesis, Dr. Motz has unfailingly treated Velikovsky with respect and seriousness, and has sought to evaluate the archaeoastronomer's novel proposals:by reasoned argumentation rather than by ridicule or polemics. Dr. Motz, in support of justice, even risked the disapproval of some of his peers by signing, in concert with Princeton physicist, Professor Valentin Bargmann, a manifesto to the scientific community, urging that Dr. Velikovsky receive proper academic recognition for his advance predictions of several of the most celebrated discoveries of the Space Age. but removal of Venus would leave an unfilled radius of r = 0.7 AU at n = 0, thus leaving an awkward gap in the geometric progression. it matches a system without Venus quite as well as the original form matches the present system! Dr. Motz graciously responded that he was surprised, intrigued, and would like to receive Ransom's paper. The motions of the planets can be predicted very satisfactorily (except for minor effects such as the precession of the perihelion of Mercury by 43 seconds of arc per century, which has been most satisfactorily explained by regarding Newton's law of gravity as an approximation to Einstein's general relativistic theory of gravity) by regarding the planets as idealized point particles subject only to Newton's laws of motion and Newtonian gravity. In this model the only forces in operation are the inertias of the particles and their mutual gravitational attractions. Ignoring dissipative forces (such as tidal friction), the N-body problem of Newtonian gravitational mechanics is theoretically "reversible," meaning that there is no a priori distinction between motion forward in time or backward in time. 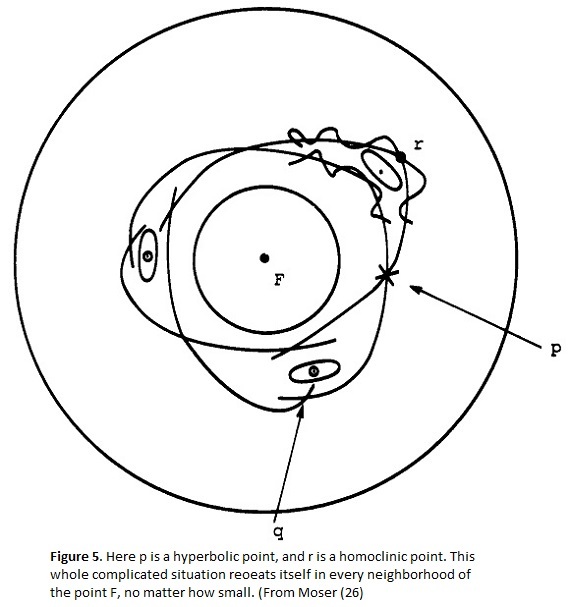 The renowned Cambridge analyst, Littlewood, has proven the theorem (23) that if the solar system is to be collision-free and bounded for all future time, then (with the exception of a set of initial configurations having negligible probability of occurrence) it would have to have been collision-free and bounded for all past time. Of course, this idealized mathematical model assumes a Euclidean space and Euclidean time, both without limit, whereas relativistic cosmology, not to mention planetary cosmogony, indicates that time may not stretch endlessly backward into the past without limit; nevertheless, the simple mathematical model corresponds closely enough with measured reality over the past few hundred years that rigorous analysis of this model has physical significance as a "first approximation" to reality. Littlewood defines collision-free in the Laplacian sense that the solar system can be split conceptually into concentric spheres, one containing each planet, and that no planet can ever cross either the preceding or succeeding sphere. His theorem, taken at face value, indicates that if there had been a Velikovskian war of the worlds, then there must be another such war of the worlds at some time again in the future. (Here the matter of time scales, regarding which the theorem gives no information, is crucial; from the theorem alone we have to allow the possibility that the future episode of worlds in collision need not occur for trillions of trillions of eons from now; see article below.) As we shall see, there is abundant numerical and theoretical evidence suggesting that the planets are likely to remain collision-free in Littlewood's strong sense for all future time; hence, if we elevate this proposition to the status of an assumed "fact," Littlewood's theorem would fully justify Mulholland's uncompromising assertion about the "absolute" impossibility of the Velikovskian scenario in the past. Recently, Northwestern University mathematician Professor Donald G. Saari, building uponideas of K. Schwarzschild, Poincaré, Hopf, Sundman, Pollard, etc., has proven two theorems even stronger than that of Littlewood. He first proves (24) that the set of initial planetary configurations and velocities leading to any kind of collision (binary, triple, etc.) 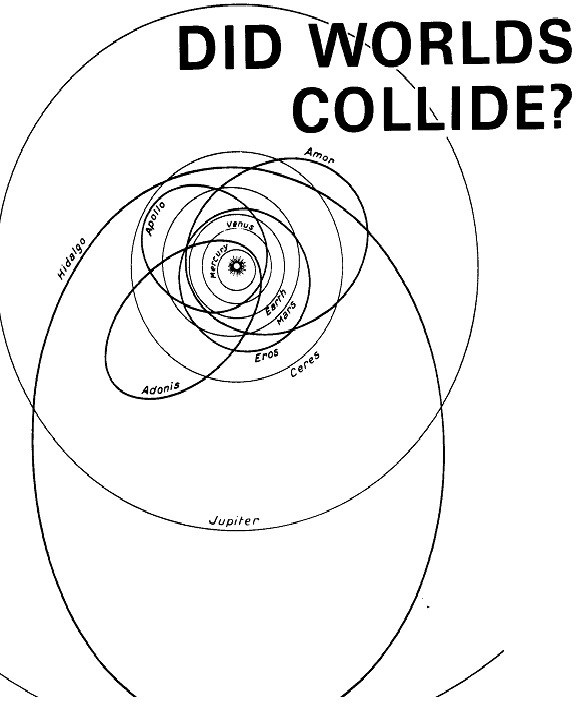 has "negligible" probability of occurrence; this allows him to dispense with Littlewood's restrictively strong definition of "collision-free," and retain only the hypothesis that the solar system is bounded for all future time, i.e., that no planet can escape to infinity. To explain his second theorem I must define recurrent motion, which I shall use (as in contemporary topological dynamics) to denote a weak kind of almost-periodicity: the planets must return, arbitrarily often, arbitrarily close to their initial configuration and velocities. (But unlike the case of strict almost-periodicity, these "return times" can get farther and farther apart, without limit.) Now Saari proves (25) that (as usual, ignoring conditions which, technically, have "probability zero" of occurrence) if the solar system is bounded for all future time, then its motion, in both past and future, must be recurrent. A Velikovsky sympathizer would have to concede that this is getting uncomfortably close to a rigorous proof of the tacit hypothesis held by most dynamical astronomers for the past century, namely, that the motion of the actual solar system, as in the classical Keplerian two-body problem, is either periodic or almost-periodic. But there are even more profound reasons why the establishment opinion has been that just quoted. For example, anticipating more celebrated results (26) of Weierstrass (1878), in 1874 the brilliant American astronomer Simon Newcomb, in an epoch-making Smithsonian Institution Report (27), which has initiated and motivated a century of profound mathematical researches by many of the most penetrating thinkers of all time (including G. W. Hill, Poincaré, G. D. Birkhoff, Wintner, Siegel, and Kolmogorov), proved the existence of a "formal" (possibly divergent) multiply-periodic, trigonometric infinite-series, exact solution of the N-body problem, providing only that N-1 of the bodies have masses small in relation to the central body, and the initial inclinations and eccentricities of the oscillating orbits of the smaller bodies are sufficiently small. If Newcomb's series not only converged, but converged "uniformly," then the establishment opinion would be proved beyond shadow of a doubt: our solar system would be almost-periodic, and small changes in initial conditions could not spoil the almost-periodicity. We turn now from purely theoretical mathematics to the additional numerical evidence of computer simulations, based not upon the use of questionably convergent infinite series, but upon a radically different algorithmic procedure ("finite-difference approximations to differential equations") which, for any finite interval of time can, in principle, be refined to an arbitrary degree of accuracy. It is a perfectly well-posed mathematical problem and one which, in principle (assuming the availability of infinitely powerful computers), is susceptible to a theoretically exact and quantitatively precise answer, to ask the following question: Given the present positions, velocities, and masses of the Sun, planets, and asteroids, integrate them backwards in time for (say) ten thousand Earth revolutions, and note whether or not Venus and Earth, and Venus and Mars, have ever undergone any near-collisions. Neglect of the supposedly "second-order" effects alluded to earlier may or may not be justified, as may the question of possible electromagnetic effects (28), but these matters could be evaluated in further "second-approximation" computations. Suffice it to say that if the above problem were solved rigorously on a theoretical basis, or with a theoretically or pragmatically demonstrable, controlled error on a numerical basis, and if the answer were negative, most dynamical astronomers and most mathematicians engaged in celestial mechanics would conclude that Velikovsky's bold hypothesis of "worlds in collision" was so flagrantly incompatible with the best-established of all laws and principles of physical science that (barring supernatural intervention, i.e., assuming the orderliness of nature) it could justly be declared a physical impossibility, and the problem of "explaining away" Velikovsky's abundant historical data could be relegated to the social scientists, psychologists, and students of mythology. As a matter of fact, I recently happened to be in the company of a distinguished group of archaeologists and ancient historians, and asked if any of them had made any serious study of Velikovsky's revised Egyptian chronology; the unanimous answer was that "we understand that Velikovsky has been so thoroughly discredited by the astronomers that it would be a waste of time to study his historical material." This situation strikes me as a tragically vicious circle, for if the evidence from archaeology and archaeoastronomy (29) should undeniably confirm Velikovsky's theory, then the astronomers would have no choice but to revise the physical assumptions underlying their dynamical model of the solar system. Nevertheless, it should be emphasized that, given the accepted model, the specific problem posed above is of the type which modern science can, in principle, solve with such quantitative exactitude that the answer would be established beyond doubt. Even one of the most severe skeptics of Velikovsky's hypothesis, Johnny Carson's favorite UFOe/exobiologist, telegenic pop-astronomer Carl Sagan, Cornell University's editor of Icarus, has authorized me to quote him as agreeing with the opinion that of all classes of evidence currently available with which to evaluate the hypothesis, "dynamical evidence ought to be accorded the greatest consideration." At first glance the numerical version of this evidence once again supports Mulholland's confidence that he has isolated Velikovsky's "fatal flaw." Recently I had the privilege of discussing this matter with the eminent planetary expert and erstwhile satellite-orbital mechanic, director of the Smithsonian Astrophysical Observatory, Professor Fred Whipple, who received an account of the above-mentioned minimum-principle approach to Bode's law with the utmost generosity and kindness, but who commented, as the discussion turned to Velikovskian scenarios: "You can integrate the planets backwards in time numerically for thousands of years and observe that no near collisions have occurred." Dr. Whipple's remark is absolutely correct. Dr. Joseph L. Brady of the University of California's Lawrence Livermore Laboratory, using F. H. McMahon's advanced 1970 computer program NBODY on the giant CDC 7600 scientific computer, has integrated the N-body problem for N = 5 backwards 21 million years and forward 22 million years, a total of 43 million years; and for N = 8 he has done it backwards for 28,000 years and forward for 50,000 years, a total of 78,000 years, without noting significant changes. In the N = 5 case he started with the initial elements of the 5 outer planets, approximating the effects of the 4 inner planets by adding their masses to that of the Sun; he used step lengths of 40 days and took about 200 million steps. In the case N = 8 he added the mass of Mercury to that of the Sun and used the correct initial elements of the remaining 8 planets; here he could use step lengths of at most 2 days, and numerical accuracy was lost after at most 100,000 years. Numerical accuracy was checked by Brouwer's theory that inevitable "roundoff" error accumulates proportionally to the (3/2)-power of the number of time steps; Brady estimates that after 200 million steps his elements were still good to three or four significant figures. This was checked by regularly computing the angular momentum, which in theory, and in physical reality, should remain exactly constant; in the computer simulation, it drifted slowly away from its initial value in extremely minute "random-walk" steps, but the angular momentum did remain constant to six significant figures over the entire 43 million years in the case of N = 5. Dr. Brady informs me that the NBODY program would be ineffective in the case of near-collisions; the time step-length required to maintain accuracy would become so small that the computer would automatically turn itself off. There is a sophisticated analytical technique (30) known as "regularization" for accurately computing the motion past a nearcollision, and I hope that McMahon will soon add a regularization sub-routine to his NBODY program, in order that Velikovskian scenarios may be tested. However, the Velikovsky skeptics are entitled to retort that there is no need to investigate near-corisions; such integrations as those already mentioned suggest persuasively that the present configuration of the solar system is immune to past or future near-collisions, even in the strong sense of Littlewood and Laplace. We come now to a class of results (31-34) called semi-analytical, in that they are derived by a combination of numerical and theoretical techniques. For an understanding of these results a number of new concepts must be introduced. The position of any particle can be specified by a set of three numbers, called coordinates. For example, the position of an orbiting nearEarth satellite may be specified by two angles and a length, namely its longitude, latitude, and (radial) altitude. Likewise the velocity vector of a particle is known if the rates of change of each of its three coordinates are known. The instantaneous position and velocity of a particle is determined by a set of six numbers called the particle's state. These numbers include one length a, one time T, one pure ratio e, and three angles, i, Ω, ω. The angle i gives the inclination of the orbital plane to the plane of the ecliptic. The angle Ω denotes the longitude of the intersection of these two planes in the "line of nodes." The angle ω denotes the longitude of the orbit's semi-major axis, of length a, which defines an ellipse of eccentricity e; the particle (if influenced only by another particle at a focus of the ellipse) moves around the ellipse according to Kepler's laws, reaching peri-focus at the epoch T. In the two-body problem the six elements remain constant. In the N-body problem, for N³3, when no near-collisions are considered, the six elements of each of the N bodies change very slowly in response to the influences of the other bodies, in a manner calculable from Lagrange's perturbation equations. If an angular variable oscillates back and forth around its mean value in an oscillation of amplitude less than 360°, the motion is called a Vibration; but if it passes through 360°, it is a circulation. Non-periodic changes in any element, such as a continual increase, are called secular variations. Secular variations in angular variables can at most produce circulations, which cannot bring the bodies closer together. Only secular changes in the semimajor axes (assuming an initial Bode-type configuration) can bring about near-collisions, in general. The minimum distance of a body from the focus is a(l - e), where 0 £ e < 1, and the maximum distance is a(i + e) < 2a. For a circular orbit, e = 0, the distance is a; but if e should increase toward 1, then the maximum distance could nearly double. Hence in the case of Bode-type configurations, collisions can be caused by secular changes in eccentricity alone. The rate of change of an angular variable is called its frequency. If two frequencies have a ratio expressible as a fraction (ratio of whole numbers), say m/n, one speaks of an m:n resonance. The example of pushing a swing in synchronization with the natural pendulummotion frequency of the swing illustrates one familiar aspect of resonance: a very small periodic, perturbing force which acts synchronously with the natural frequency of oscillation of an unforced mechanical system can cause the amplitude of the oscillations to become amplified enormously. If the slowly-varying, closest-fitting or "osculating" ellipse representing each body's orbit is approximated by a circle, then the corresponding frequency of ω is called the body's mean motion. The mean motions of all nine planets are approximately in resonance. According to Roy and Ovenden (14), the resonances are as shown in Table I. Instead of considering just two bodies at a time, one can note three-, four-, and five-body resonances, as done by Molchanov (13) in his analysis of the solar system, presented here in Table II. The maximum error of any frequency shown in Table II is one percent (for Uranus); the other frequencies are all ten or a hundred times more accurate. Still, considering the typical tremendous accuracy of celestial mechanics (six or more significant figures), such a resonant analysis as in Tables I or 11 must be regarded as a very crude approximation, which may be why so many critics regard Tables I and II as "void of physical significance." where λ, Λ, and ω, respectively, denote the mean longitudes of Pluto, Neptune, and Pluto's perihelion. The motion would be exactly resonant if δ = δ0 had a constant value; in this case δ0 = -(2.3)0. In reality δ librates (34) around δ0 with an amplitude of about 76° (more precisely, δmin = -78°, δmax = 74°) and a period of 19,815 years. Here δ0 is precisely the value of the librating (and orbitally stable) resonant argument at which the mean absolute potential energy has a minimum; its maximum occurs at δ0 = 174°, which corresponds to an orbitally unstable equilibrium. The major unsolved problem in celestial mechanics is whether or not the solar system is orbitally stable. By this we mean roughly that the qualitative nature of the motion cannot be altered by tiny initial changes in the planetary states. In a sense to be defined later, we can specify quantitatively whether or not a given motion is non-resonant or resonant (meaning near" to a resonant motion). If the solar system were very close to a mean absolute-potential-energy minimum, we could be confident that all of its critical arguments would be executing orbitally stable motions. This is in fact the case for Pluto when the orbits of Jupiter, Saturn, Neptune and Uranus are regarded as fixed, as shown (34) by Dr. William A. Newcomb, Lawrence Livermore Laboratory's noted authority on thermonuclear plasma stability theory, who evidently also has inherited some of his great-uncle Simon Newcomb's talent for celestial mechanics. At any rate, the presently observed solar system seems to be sufficiently far from an exact minimum configuration that its orbital stability could be tested semi-analytically along the lines previously suggested only by very extensive calculations and computations which have not yet been performed. In summary, let us review the different senses in which the solar system's stability has been defined in the past two centuries. Stable in the sense of Lagrange means, simply, bounded (no escape to infinity is allowed). Stable in the sense of Poisson means recurrent; Saari's theorem (25) says that stability in the sense of Lagrange implies stability in the sense of Poisson. Arnol'd's theorem asserts that the majority of possible motions of the solar system (the nonresonant motions) are not only stable in the senses of Lagrange and Poisson, but are even quasi-periodic (this is a stronger concept than almost-periodicity; it implies that the system has a finite number of non-resonant frequencies and is actually periodic in the angular variable associated with each). To use, ignore numbers in first row and first number column, which simply identify rows and columns with planets. Select a planet; then from corresponding row note other numbers associated with planets; multiply mean motion of planet corresponding to each column by the noted numbers and add to obtain zero. Rows containing only two non-zero entries reproduce results of table I.
Orbital stability is a much more subtle concept, which will be defined precisely later on. Here let us remain content with an indirect characterization by partial descriptions and examples. The preceding kinds of "stability" all refer to the properties of a particular motion defined uniquely by particular initial conditions; all neighboring motions are ignored. But modern dynamicists regard the use of the word stability in such a context as quite obsolete, and currently "stability" in the senses of either Lagrange, Poisson, or Laplace and Littlewood is regarded as an unfortunate misnomer. Today stability refers to a characterization of the motion relative to all possible nearby motions; it is a variational concept: what happens to the longtime behavior of the motion if we make a tiny change in the initial conditions which uniquely determine the motion? For example, suppose that the present motion of the solar system is quasi-periodic and "stable" in the senses of Lagrange, Poisson and Laplace and Littlewood, and yet not orbitally stable; then an infinitesimally small change in the initial conditions could, if chosen appropriately, lead to a new motion possessing, e.g., none of these four properties, but instead involving both collisions and escapes to infinity of one or more bodies. In short, one could amass an endless array of evidence for "stability" of the solar system in the senses of Lagrange, Poisson, and Laplace and Littlewood, and yet, from a rigorous point of view, no firm conclusions could be drawn about Velikovsky's thesis unless one also discovered evidence in favor of orbital stability. It is the tacit and virtually unexamined assumption of orbital stability which may prove to be the Achilles heel of the received opinion. Mulholland has asserted essentially that the solar system is stable in the sense of Laplace and Littlewood (or at least that it is stable relative to the three planets Venus, Earth and Mars, during periods of less than a hundred thousand years). If we alter the solar system by placing Venus in an orbit lying entirely between Jupiter and Saturn, leaving the other planets unchanged, we can prove readily that in such a configuration the solar system is not stable in the sense of Laplace and Littlewood. In fact, we can prove that in the astronomically brief period of less than three decades Venus could work its way inward, crossing the orbit of Jupiter, and taking up an orbit lying entirely between Mars and Jupiter. Every celestial mechanician to whom I have mentioned the preceding Velikovskian scenario has steadfastly denied its possibility and has demanded to see the alleged proof. My proof that follows is based upon elementary facts regarding the restricted 3-body problem (41), together with other facts published in Pensée and called to my attention by Ransom, to whom I am deeply grateful. First, recall Newton's famous law of motion, F = mA, where A is the acceleration of a body of mass m, acted upon by a force of magnitude F. Let m denote the mass of Venus, and let M denote the mass of Jupiter. By Newton's law of gravity, we have F = GmM/D2, where D is the distance between Venus and Jupiter, and G is the constant of gravity. Upon equating the two expressions for F, note that the mass m of Venus cancels out, yielding the acceleration of Venus, A = GM/D2 , as completely independent of the mass of Venus. The same argument applies to the acceleration of Venus brought about by the Sun. The point of the preceding paragraph is that for a body of the mass of Venus or smaller, the orbital evolution would be in all cases identical. It remains only to specify an initial state for Venus (or any smaller body) that would lead to the Velikovskian scenario postulated above. Nature has supplied the answer! Remember that for Venus one can, with negligible error, substitute any smaller mass. Now turn to an article by A. V. Fokin, Soviet Astronomy-AJ, vol. 2 (1958), p. 628 and recall the behavior of comet Oterma III. Before 1938 Oterma III had an orbit entirely between the orbits of Jupiter and Saturn. During a near approach to Jupiter in that year it changed its orbit so that it was entirely between Mars and Jupiter. This example is not a fluke. For brevity, let us call three expert witnesses: Carl Ludwig Siegel (41), Jürgen K. Moser (26), and V. I. Arnol'd (42), of whom there can be little doubt that they are the world's three most outstanding living authorities on celestial mechanics. In 1950 at the Institute for Advanced Study in Princeton Hermann Weyl told me that he regarded Siegel as "perhaps the world's greatest living mathematician." In 1954 our esteemed late teacher, Aurel Wintner (43), who had been himself listed in Scripta Mathematica in the late 1930's as among the outstanding ten mathematicians, told me and my graduate classmate Shlomo Sternberg (44) much the same thing about Siegel's stature. Formerly a Permanent Member of the Institute for Advanced Study, Siegel is now a retired professor emeritus it Göttingen. Moser, a student and later a collaborator of Siegel's, received the von Neumann Prize from the American Mathematical Society and is now Director of New York University's large Courant Institute of Mathematical Sciences. Arnol'd has already been introduced (37). Let us first quote Siegel and Moser (41). 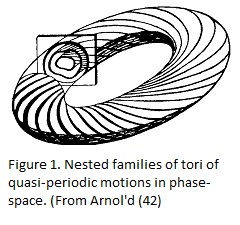 They review Arnol'd's theorem that all non-resonant motions are quasiperiodic, and then consider the remaining (formally, "near-resonant") motions, which they call the exceptional set. They say, on page 277, ". . . it is conceivable that there are exceptional solutions starting in [the exceptional set] for which [the semi-major axes] vary by amounts of finite order and eventually encounter a collision.... Very little is known about the long-time behavior of solutions in the exceptional set. . . ."
Arnol'd himself is of the same opinion (37). On page 88 he asks, "Do small perturbations of planets on each other give rise after a sufficiently long time to collisions or departures to infinity?" He then reviews his own incredibly intricate and difficult calculations and then, on page 177, calling this "the fundamental and primary unsolved problem," says of his own work: "The results do not exclude the possibility that an arbitrarily small change in the initial conditions can completely change the character of the motion for an infinite time," concluding that "the topological [orbital] instability of planetary motions would ... follow." I have so far withheld a Surprise Witness. There is a kind of behavior in celestial mechanics (45, 46), associated with what Poincaré called heteroclinic and homoclinic periodic orbits, which is "wild" in such a mindboggling fashion that Poincaré, in 1899, though he invented the sciences of topology and (with G. D. Birkhoff) topological dynamics, said (47), "One is struck by the complexity of this figure that I am not even attempting to draw. Nothing can give us a better idea of the complexity of the three-body problem [in the exceptional or resonant set when Newcomb's] series diverge." See Figures 1-6. Instead of Danby's term, "wild motions" (48), Moser speaks of "classes of solutions whose behavior is quite random" (26), which he also terms "statistical behavior." Let us recall Professor Moser to the stand and ask him to summarize his testimony. Moser (26, p. 109): "in conclusion, we see that the statistical behavior, as well as the stable behavior described by the quasi-periodic motion can take place side by side. . . ."
We now call our "surprise witness," a former student of Moser's, Professor Samuel M. Graff of the John Jay College of Criminal Justice, City University of New York, who has profoundly investigated the expectations and opinions of Arnol'd, Siegel, and Moser already quoted, and, in a 69-page mathematical tour-de-force (49) published in 1974, elucidated in precise analytical detail exactly how a Hamiltonian dynamical system can have quasi-periodic motions that are orbitally stable for small perterbations in certain directions but are orbitally unstable for arbitrarily small perturbations in all other directions. Professor Graff concludes his testimony by a striking application of his deep theorem to the restricted three-body problem. It has long been known (43, 50, 51) that the equilibrium point (a "central configuration" (10, 43) called one of "Lagrange's collinear relative equilibria") on a line between the Earth and the Moon at which the gravitational attractions of the Earth and Moon exactly balance and cancel one another has the property of orbital instability: a spacecraft parked there would, if moved slightly away, "in almost any direction," continue to drift away, never to return. However, Dr. Graff has proved that there exist quasiperiodic motions arbitrarily close to this unstable equilibrium motion; if the spacecraft were given just the right kind of push it would orbit forever around the point instead of departing. The generic instability of the solar system can be understood fuuy only by one willing to grapple with the conceptual difficulties of geometry in 6N-dimensional Euclidean space. The well known geometrical theorems of Euclid regarding two- and three-dimensional figures are understandable by teenagers because we live in a space that is (at least, locally) three-dimensional and so these geometrical problems can be visualized. René Descartes revolutionized geometry by converting such problems to purely algebraic problems, involving systems of linear and quadratic equations, thus "arithmetizing geometry" in the science called analytic geometry. Mathematicians cannot actually visualize figures in 54-dimensional space (appropriate for the unreduced N-body problem with N = 9); however, the techniques and results of two- and three-dimensional analytic geometry can be generalized with little difficulty to n-dimensional space, where n is arbitrary. It is a great aid to the intuition to clothe theorems about systems of equations containing n variables in geometrical language, for the meaning of the theorems in the case n = 2, n = 3 can be visualized, and then the general case to some extent can be comprehended, at least in part, as an analog. At any instant of time, the complete state of the N-body problem can be specified by N state vectors, each of which consists of a set of six numbers (the body's astronomical elements). Therefore the total state vector is described by a set of 6N numbers, which represents a point in the 6N-dimensional state space of the N-body problem. As the N bodies move in 3-dimensional configuration space, the point corresponding to the state vector moves in 6N-dimensional state space (often also called phase-space). The path of this point in phase-space is called a state trajectory; imagine it as a fixed streamline of a steady flow (43) in the state space. The streamlines cannot intersect; through each and every point in state space there passes exactly one streamline. A remarkable theorem of Liouville proves (52) that this flow is incompressible: if we pick a region in state space and measure its 6Ndimensional volume, and then follow what happens to this region as it moves along with the flow, we discover that no matter how the original shape of the region may become altered (it can become mashed nearly flat, stretched in different directions, etc. ), its 6N-dimensional volume remains the same. If the initial total energy is specified, the flow takes place (53, 54) entirely on a corresponding (6N-l)-dimensional subspace; so without loss of generality we can always regard state space as (6N-1)-dimensional. Furthermore we can always replace N by (N-1) because we can eliminate one of the bodies by using the conservation of linear momentum. Hence we have a (6N-7)-dimensional state space for N³2. Consider the surface of a doughnut, technically called a 2-dimensional torus. A streamline winding around this torus in such a way as to never intersect itself but to cover the surface densely, coming arbitrarily close arbitrarily often to every point on the surface, represents a quasi-periodic motion with two independent frequencies. See Figure 1. The N-body problem for N³2 has quasiperiodic motions, corresponding to nonresonant motions, which wind similarly around (3N-3)-dimensional tori in (6N-7)-dimensional state space. These tori are concentric and nested. If we choose the initial conditions so that all bodies move in a plane, then this planar condition persists. A further reduction is then possible for the planar N-body problem, in which case the concentric, nested tori are (2N-2)-dimensional and lie in a (4N-5)-dimensional state space. There are gaps between the tori, corresponding to the resonant motions. These gaps are called the zones of instability or resonant zones. Their union is the exceptional set. Some of the streamlines in these gaps correspond to orbitally stable periodic motions, while others are orbitally unstable. See Figure 2. The cardinality of the geometrical centers of the zones of resonance/instability is the same as that of the whole numbers, or equivalently, the fractions: they can be "enumerated." The cardinality of the nested tori is the same as that of the irrational numbers (non-repeating infinite decimal expansions), and so is "uncountable." But certain irrational numbers which can be unusually closely approximated by fractions also belong (41) to the resonance zones. Hence both the tori and the resonance zones are uncountable. The (3N-2)-dimensional volume of the union of the tori is greater than the (3N-2)-dimensional volume of the union of all the resonance zones, for which reason one says that the majority of motions are quasi periodic and that the solar system has metric stability. But since the resonance zones are "everywhere dense," and some orbits in the resonance zones are known to be orbitally unstable, one must concede that the solar system lacks topological stability. The flow can be visualized completely in the planar case N = 2, where the tori are 2-dimensional and the reduced state space is 3-dimensional. Here each torus divides the space into an inner and an outer region. Streamlines spiraling away from an orbitally unstable, closed [or topologically circular, i.e., periodic] streamline are trapped between two adjacent nested tori and cannot get very far away. Hence the planar 2-body problem is orbitally stable. This topological picture of the total solution of the N-body problem as an incompressible fluid flow in a (6N-7)-dimensional phase space is rather abstract and admittedly not easy to grasp at a first encounter. However, anyone who persists until he can understand the preceding paragraph (in the entire present context) will never doubt the dynamical possibility of Velikovskian planetary encounters. It remains to settle but one question. What are the exact orbital elements of an N = 9 problem in (6N-7) = 47 dimensional phase space which will start with Venus near Jupiter at an epoch several thousand B.C., involve nearcollisions between Venus and Earth, Venus and Mars, and Earth and Mars, and end up with the solar system in approximately its present configuration by, say, 500 B.C.? The alert reader may have sensed one difficulty here. Since a true minimum mean absolute potential energy configuration may well be, as we have seen, orbitally stable, or nearly so; and since the present solar system is (or, at least, the 5 inner planets are) near such a minimum configuration, so that it might be in fact orbitally stable; how could one reconcile this last possibility with the known reversibility of the motion which, if it involved near-collisions in the past, certainly was not orbitally stable then? Start by ignoring tidal friction. Consider the nested (3N-3)-dimensional tori in (6N-7)dimensional state space. One of the closed streamlines in the resonant zones would be orbitally stable if it were surrounded by a (6N-8)-dimensional toroidal-separatrix hypersurface consisting entirely of streamlines of the flow. A Velikovskian wild motion could correspond to a streamline that, blocked by the separatrix, could come very close (but no closer) to this closed streamline. Now the net effect of tidal friction over a few centuries or millennia can be replaced by an equivalent small "jump" in the system's state. This jump might bring the state vector across the separatrix hypersurface and either exactly onto the closed streamline, or else, at least, within its region of orbital stability. In this case the present elements of the system would correspond to orbital stability (in models which had tidal friction neglected) without contradicting the possibility of an earlier Velikovskian episode. Such considerations illustrate the imperative necessity for extraordinary care, including analytical regularization (30) at near-collisions, if computer simulations of the N-body problem are to be physically meaningful. In 1964 Dr. R. H. Miller of the Department of Astronomy and Astrophysics, and the Institute for Computer Research, University of Chicago, investigated (57) N-body integrations for N up to N = 32, concluding that "Errors in calculations of n-body systems grow exponentially with the time through [the mechanism of encounters], and may therefore invalidate the results of n-body calculations." After further work (58) he stated in 1971: "The gravitational n-body problem is remarkably unstable numerically, in spite of the fact that near constancy of the energy and angular momentum makes it appear that the calculation should be reliable.... the differences between computed systems and exact solutions to the differential equations tend to lie near the hypersurface on which the first integrals are conserved.... The numerical instability remains even when conservation of the first integrals is improved by several orders of magnitude through a partial iterative refinement method." Earlier he had warned (59) that "Each of these errors will grow exponentially with time.... These effects are easily missed because the states reached by the calculated system are very plausible. The usual integrals are well conserved, and nothing very surprising happens. Still, the computed system is not causally related to its earlier states in the same way that a physical system would be" (emphasis added). These major discoveries by Miller imply that all long-time N-body simulations must be double-checked, e.g., by comparison with semi-analytical theories, such as done by Brady and Newcomb (34). This entire field is now quite active, with 41 new papers scheduled to appear shortly in a volume edited by Kozai (60). So we return to the final question: what are possible initial elements of a Velikovskian episode? Truly heroic preliminary investigations of this question have been performed by Dr. Lynn E. Rose and Raymond T. Vaughan (61), followed by others (62). Further research by Rose and Vaughan will appear in Pensée. This work so far consists of a sequence of four laboriously computed snapshots (62, fig. 1) or "stills" from a ciné film; what is needed in order to finally clinch the case in favor of Velikovsky beyond a shadow of a doubt is to fill in the missing frames. This task is, economically, beyond the resources of Velikovsky's supporters; it requires access to (at least) a CDC 6600 or equivalent scientific computer. Fortunately, not all establishment members are determined to suppress Velikovsky: I have recently gained the cooperation of several of the world's leading "established" experts on the theory and simulation of the N-body problem, who intend to repeat the numerical experiments of Hills (19), Ovenden (11, 12, 39) and Ovenden, Feagin and Graf (63), and then try to connect up the isolated sets of astronomical elements with an almost continuous-time N-body simulation. Another potentially fruitful line of research concerns the mysterious, anomalous (retrograde) rotation of Venus and its resonance with Earth. Since no cosmogony has been able to explain a retro-grade axial rotation, it is necessary to assume that Venus originally had a normal spin axis but was later flipped upside down by a near-collision. For a clue as to which body Venus encountered, recall that its synodic period has a 5:1 resonance with its rotation period; at every inferior conjunction Venus presents precisely the same face to Earth. Nonlinear resonant oscillators can become locked in resonance (see Giacaglia [351, p. 375 and pp. 332-336) in a manner which is orbitally stable and therefore is only slightly disturbed by subsequent perturbations. Kopal (64) calls the mechanism of this Earth-Venus coupling "obscure." Ransom (65) has suggested that these remarkable anomalies represent relics of a near-collision between Venus and Earth which would be recoverable from an appropriate simulation of the type we seek (though Rose remains dubious); compare also (66). Progress reports will be published in Pensée. But remember: searching the gaps between the non-resonant tori in a 47 dimensional phase-space for the golden initial conditions of that fantastic cosmic billiard shot, like seeking a needle in a haystack, will not be easy. As of now, only the Master Player knows. (1) Irving Michelson, "Celestial Electro-mechanics and Velikovsky's Catastrophism," International Symposium: Velikovsky and the Recent History of the Solar System, McMaster University, Hamilton, Ontario, June 16-19, 1974. (2) Forest Ray Moulton, Celestial Mechanics (New York: Macmillan, 1964), p. 430. (3) Horace Kallen, "Shapley, Velikovsky and the Scientific Spirit," Pensée 2 (May, 1972): 36-40. (4) J. Derral Mulholland, "Movements of Celestial Bodies-Velikovsky's Fatal Flaw," AAAS Symposium: Velikovsky's Challenge to Science, San Francisco, February 25, 1974. (5) Pensée (Spring, 1974): 25-28. (6) Michael Martin Nieto, The Titius-Bode Law of Planetary Distances (Pergamon, 1972). (7) Robert W. Bass, "Is the Solar System Dynamically Stable?" International Symposium: Velikovsky and the Recent History of the Solar System, McMaster University, Hamilton, Ontario, June 16-19, 1974. Mathematical appendices ("Dynamical Derivation of Bode's Law," and "Least Interaction Planetary Orbits") are available on request. (8) Owen Gingerich, "Kepler and the Resonant Structure of the Solar System," Icarus 11 (1969): 111-13. (9) Robert W. Bass, The Principle of Critical Mean Potential Energy, stated in the first paragraph of Part 111, Solution of the N-Body Problem (August, 1958, RIAS Division of Martin Marietta Corp.). Two hundred pre-prints distributed at ICM, Edinburgh 1958, and IAF, Stockholm 1960. (11) Michael W. Ovenden, "Bode's Law and the Missing Planet," Nature 239 (October 27, 1971): 508-509. (12) Michael W. Ovenden, "Bode's Law—Truth or Consequences?" Vistas in Astronomy, vol. 16 (Kepler Memorial volume), in press. (13) A. M. Molchanov, "The Resonant Structure of the Solar System," Icarus 8 (1968): 203-15. See critiques in vol. 11 (1969): 88-92, 93-94, and his replies, pp. 95-103, 104-110. (14) A. E. Roy and M. W. Ovenden, "On the Occurrence of Commensurable Mean Motions in the Solar System," Monthly Notices of the Royal Astronomical Society 114 (1954): 232-41, and Part II, "The Mirror Theorem," idem, vol. 115 (1955): 296-309. (15) Ernest W. Brown, "Resonance in the Solar System," Bulletin of the American Mathematical Society 34 (1928): 265-89. (16) P. Goldreich, "An Explanation of the Frequent Occurrence of Commensurable Mean Motions in the Solar System," Monthly Notices of the Royal Astronomical Society 130 (1965 159-81. (17) M. Lecar, "Bode's Law," Nature 24 (1973): 318-19. (18) S. F. Dermott, "Bode's Law and the Resonant Structure of the Solar System, Nature (Physical Science) 244 (1973): 18-21. (19) J. G. Hills, "Dynamic Relaxation Planetary Systems and Bode's Law," Nature 225 (1970): 840-42. (20) Ernest W. Brown, "Observation and Gravitational Theory in the Solar System, Publications of the Astronomical Society of Pacific 44 (1932): 21-40. (21) Lloyd Motz and Annetta Duveen, Essentials of Astronomy (Wadsworth, 1966). (22) C. J. Ransom, "Bode's Law and Changes in the Solar System," International Symposium: Velikovsky and the Recent History of the Solar System, McMaster University, Hamilton, Ontario, June 16-19, 1974. (23) J. E. Littlewood, "On the Problem of N-Bodies," Meddel. Lunds Univ. mat. Sem. Supp. M. Riesz (1952): 143-51. (24) Donald G. Saari, "Improbability of Collisions in Newtonian Gravitational Systems I,” Trans. Amer. Math. Soc. 162 (1971) 267-71, and Part II, vol. 181 (1973): 351-68. (25) Donald G. Saari, "On Bounded Solutions of the N-Body Problem," in Periodic Orbits, Stability, and Resonances, ed. G. E O. Giacaglia (Dordrecht: Reidel, 1970), pp. 76-81. (26) Jürgen Moser, Stable and Random Motions in Dynamical Systems, with Special Emphasis on Celestial Mechanics, Herman Weyl Lectures, The Institute for Advanced Study (Princeton University Press, 1973). (28) Max K. Wallis, "Comet-like Interaction of Venus with the Solar Wind," Cosmic Electrodynamics 3 (1972): 45-59. (29) Elizabeth Chesley Baity, "Archaeoastronomy and Ethnoastronomy So Far," Current Anthropology 14 (1973): 389-449. (30) D. G. Bettis and V. Szebehely, "Treatment of Close Approaches in the Numerical Integration of the Gravitational Problem of N Bodies," Gravitational N-Body Problem, ed. M. Lecar (Dordrecht: Reidel, 1972), pp. 388-405. (31) C. J. Cohen and E. C. Hubbard, "Libration of the Close Approaches of Pluto to Neptune," Astronomical Journal 70 (1965): 10-13. (32) J. G. Williams and G. S. Benson, "Resonances in the Neptune-Pluto system," Astronomical Journal 76 (1971): 167-77. 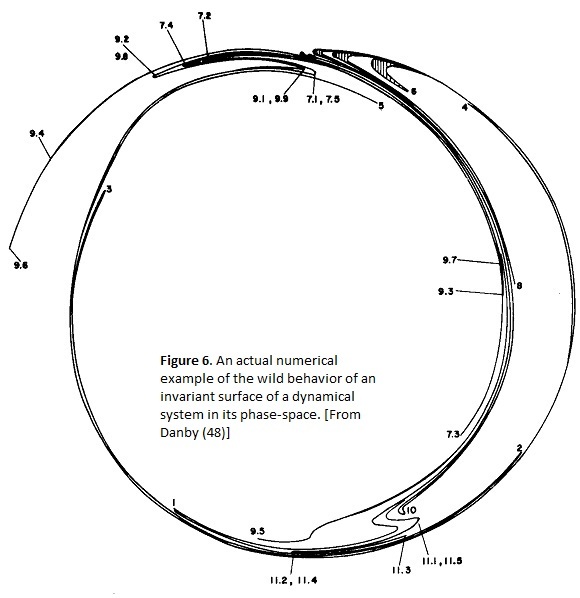 (33) Paul E. Nacozy and Roger E. Diehl, "On the Long-term Motion of Pluto," Celestial Mechanics 8 (1974): 445-54. (34) Joseph L. Brady and William A. Newcomb, "Long-period Librations of Neptune and Pluto," [private communication] to be published. (35) G. E. O. Giacaglia, Perturbation Methods in Non-Linear Systems (Springer-Veriag, 1972). 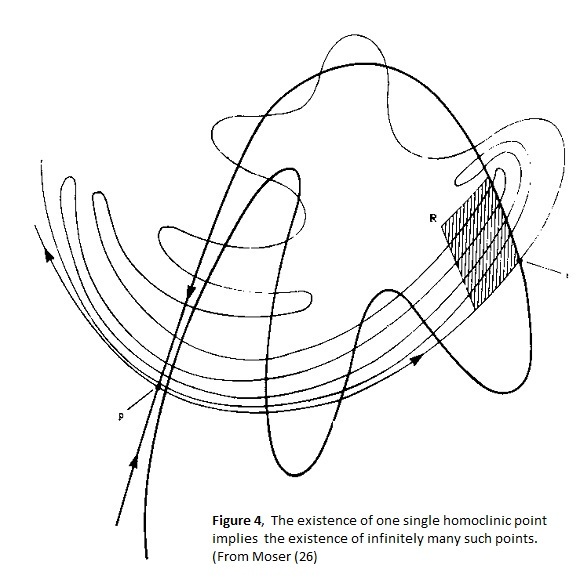 (36) V. I. Arnol'd, "On the Classical Theory of Perturbations and the Problem of Stability of Planetary Systems," Sov. Math. Dokl, No. 2 (1962): 1008-1011. (37) V. I. Arnol'd, "Small Denominators and Problems of Stability of Motion," Russian Math. Surveys, vol. 18, No. 6 (1963): 85-193; see also idem, No. 5, pp. 9-36. (38) P. Hagedorn, "The Inversion of the Stability Theorems of Lagrange and Routh," Arch. Rat. Mech. Analysis 42 (1971): 281-316. (39) Michael W. Ovenden, "Planetary Distances and the Missing Planet," Proceedings of NATO Advanced Institute in Dynamical Astronomy, ed. B. D. Tapley and V. Szebehely, Recent Advances in Dynamical Astronomy (Reidel, 1973)-. 319-332. (40) W. McD. Napier and R. J. Dodd, "The Missing Planet," Nature 242 (1973): 250-51. (41) Carl Ludwig Siegel and Jürgen Y. Moser, Lectures on Celestial Mechanics (SpringerVertag,. 1971). (42) V. I. Arnol'd and A. Avez, Ergodic Problems of Classical Mechanics (W. A. Benjamin, 1968). (43) Aurel Wintner, The Analytical Foundations of Celestial Mechanics (Princeton University Press, 1947). (44) Shlomo S. Sternberg, Celestial Mechanics, I, II (W. A. Benjamin, 1969). (45) Floris Takens, "Homoclinic Points in Conservative Systems," Inventiones math. 18 (1972): 267-92. 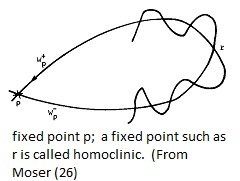 (46) E. Zehnder, "Homoclinic Points Near Elliptic Fixed Points," Comm. Pure Appi. Math. 26 (1973): 131-82. (47) Henri Poincaré, Les Méthodes Nouvelles de la Mécanique Céleste, I - III (Gauthier-Villars, 1899), particularly vol. II, Ch. 3, p. 389. (48) J. M. A. Danby, "Wild Dynamical Systems, and the Role of Two or More Small Divisors," in Periodic Orbits, Stability, and Resonances, ed. G. E. O. Giacaglia (Dordrecht: Reidel, 1970), pp. 272-85. (49) Samuel M. Graff, "On the Conservation of Hyperbolic Invariant Tori for Hamiltonian Systems," Journal of Differential Equations, 15 (1974): 1-69. (50) D. Brouwer and G. M. Clemence, Methods of Celestial Mechanics (Academic Press, 1961). (51) V. Szebehely, Theory of Orbits (Academic Press, 1967). (52) Ralph Abraham, Foundations of Mechanics (W. A. Benjamin, 1967). (53) Stephen Smale, "Topology and Mechanics, I,” Inventiones math. 10 (1970): 30531, and idem. Part II, vol. II (1970): 45-64. (54) H. E. Cabral, "On the Integral Manifolds of the N-Body Problem," Inventiones math. 20 (1973): 59-72. 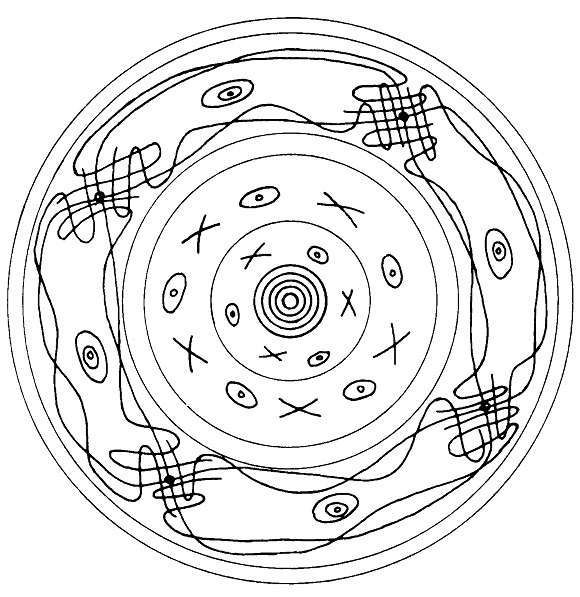 (55) Chris Sherrerd, "Venus' Circular Orbit," Pensée 2 (May, 1972): 43. (56) W. T. Kyner, "Rigorous and Formal Stability of Orbits About an Oblate Planet," Amer. Math. Soc. Memoirs 81 (1968). (57) R. H. Miller, "Irreversibility in Small Stellar Dynamical Systems," Astrophysical Journal 140 (1964): 250-56. (58) R. H. Miller, "Experimental Studies of the Numerical Stability of the Gravitational N-Body Problem," Journal of Computational Physics 8 (1971): 449-63. (59) The Theory of Orbits in the Solar System and in Stellar Systems, ed. George Contopoulos, IAU Symposium No. 25 (Academic Press, 1966), p. 139. (60) Y. Kozai, The Stability of the Solar System and Small Stellar Systems (Dordrecht: Reidel, 1974). (61) Lynn E. Rose and Raymond C. Vaughan, "The Orbits of Mars, Earth, and Venus," Pensée 2 (May, 1972): 43. (62) C. J. Ransom and L. H. Hoffee, "The Orbits of Venus," Pensée 3 (Winter, 1973): 222 S.
(63) Michael W. Ovenden, Terry Feagin, and Otis Graf, "On the Principle of Least Interaction Action and the Laplacean Satellites of Jupiter and Uranus," Celestial Mechanics 8 (1974): 445-71. (64) Zdenek Kopal, The Solar System (Oxford University Press, 1973), p. 53, 119. (65) C. J. Ransom, "How Stable is the Solar System?" Pensée 2 (May, 1972): 16-17, 35. (66) Richard Greenberg, "Evolution of Satellite Resonances by Tidal Dissipation," Astronomical Journal 78 (1973): 338-346.